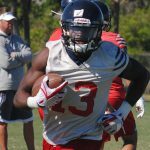 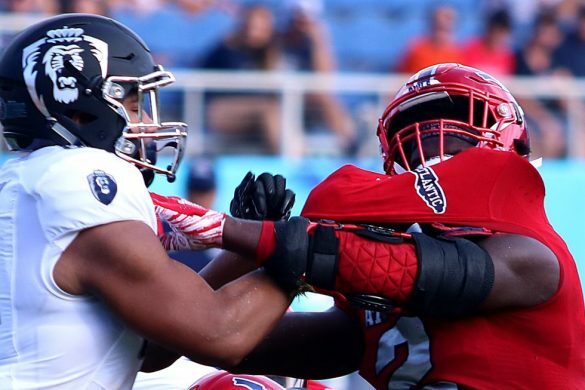 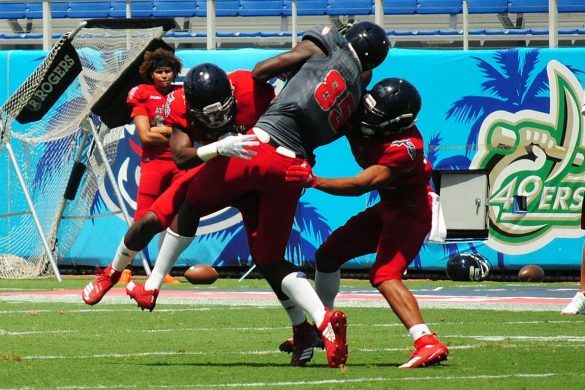 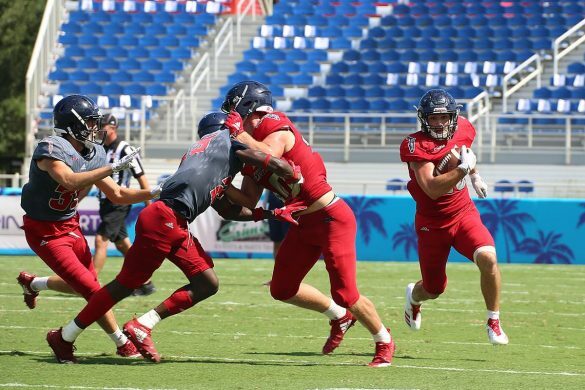 BOCA RATON – Round 1 of this week’s hard court version of the Shula Bowl went to FIU – though FAU had its chance to score a late knockout. 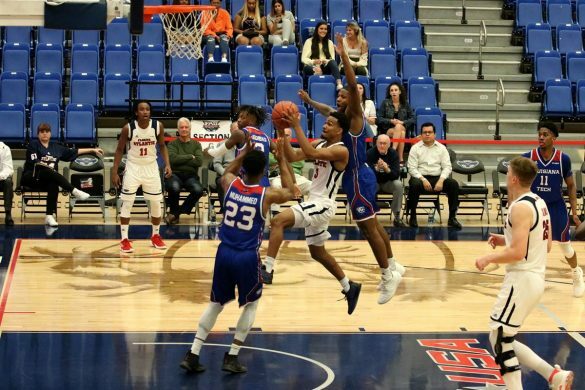 Trailing by two with in the closing seconds, Xavian Stapleton found himself wide open after a drive to the rim, but his largely uncontested lay-in attempt bounded twice off the rim before caroming out of the cylinder and Simeon Lepichev’s attempted tip-back also drew rim but wouldn’t fall. 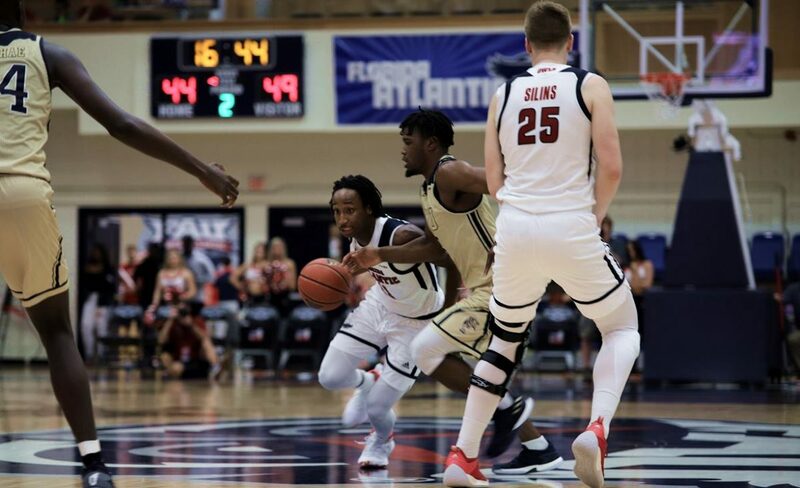 FIU’s Antonio Daye finally grabbed the rebound securing, after he hit two free throws with 0.7 seconds remaining, a 78-74 Panthers victory. 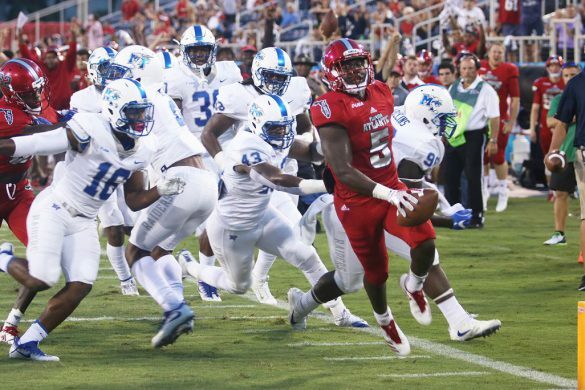 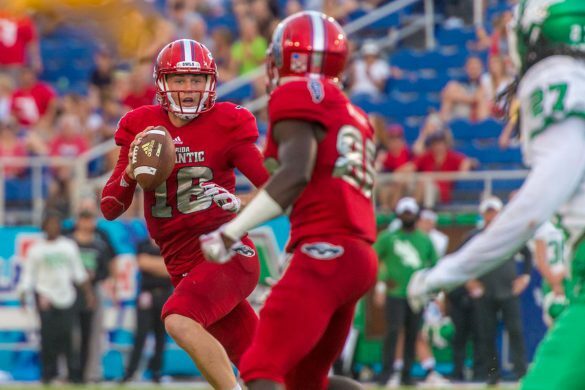 Only minutes before the idea that FAU would come that close to winning seemed implausible. 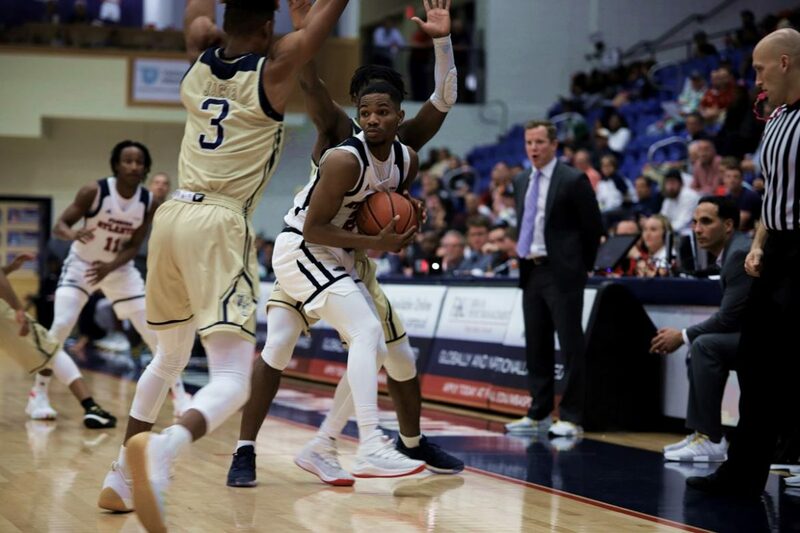 Trailing by 10 with 3:30 remaining and on the verge of getting blown out, the Owls scored eight consecutive points, cutting the Panthers’ lead to 73-71 on Stapleton’s driving lay-up with 1:08 remaining. 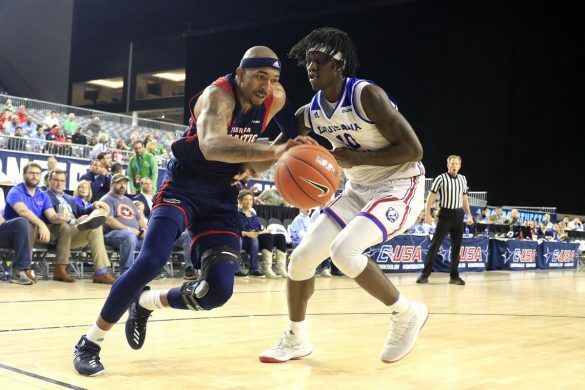 “We were proud that our guys fought back and really showed a lot of resolve the last three-to-four minutes to get back and give us an opportunity to win the game,” May said. 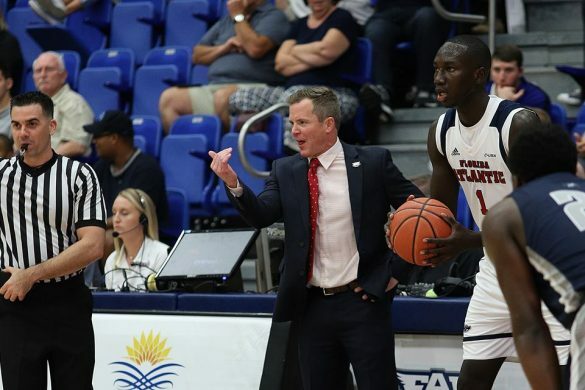 FAU responded to Brian Beard’s three pointer half-a-minute later with a three-pointer of its own. 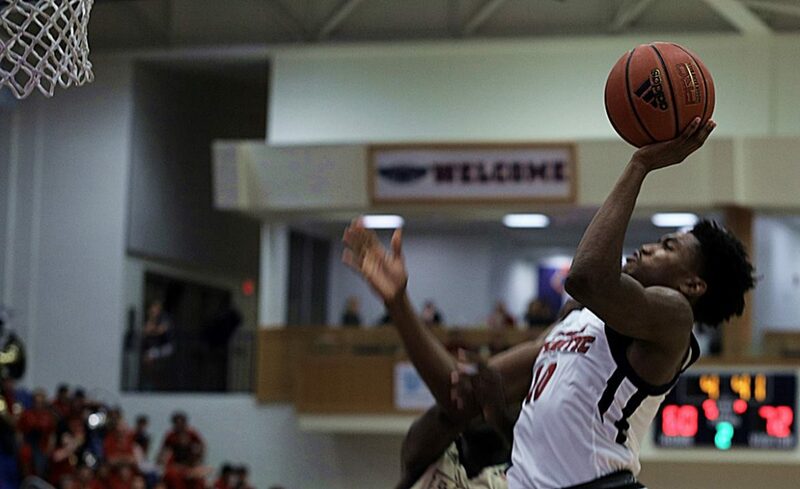 Freshman Michael Forrest drained his long-distance jumper from the left wing to bring the Owls back within two. 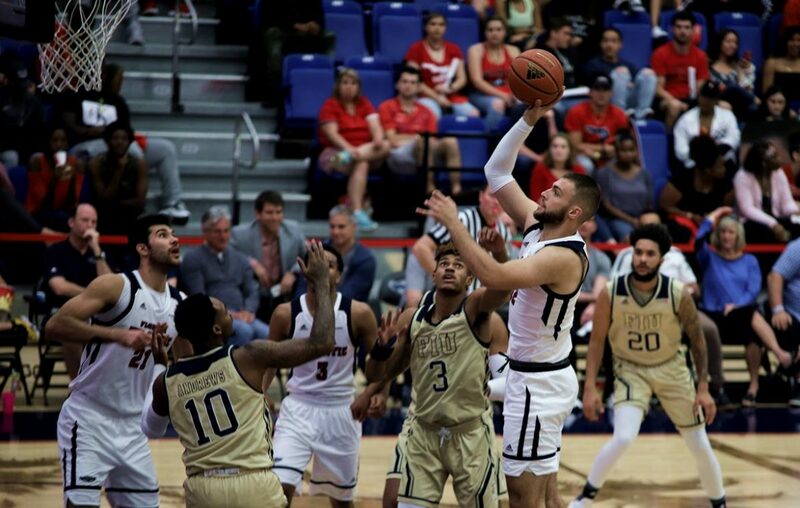 Two missed free throws by Beard gave the Owls the opportunity to either tie the game or win it with a final shot. 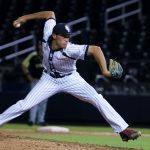 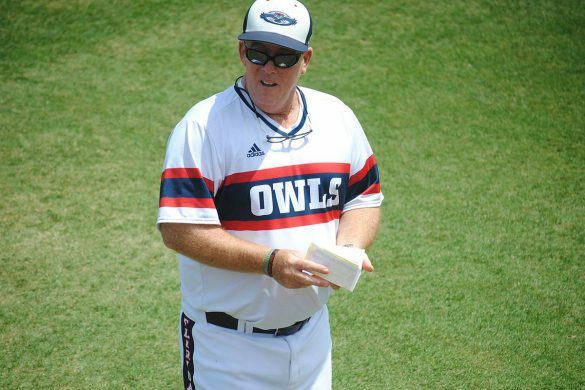 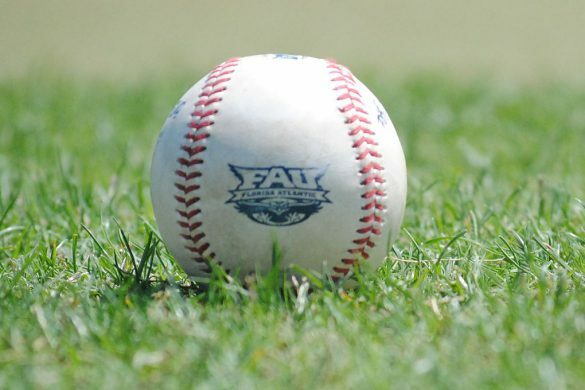 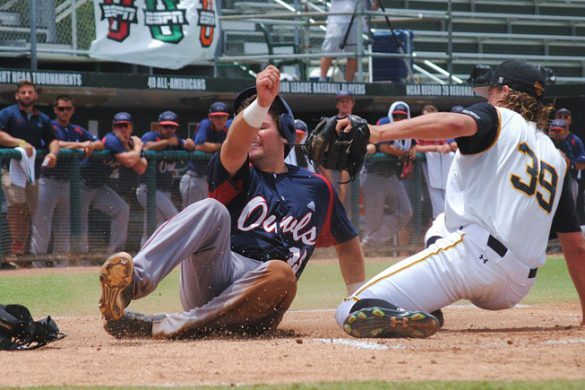 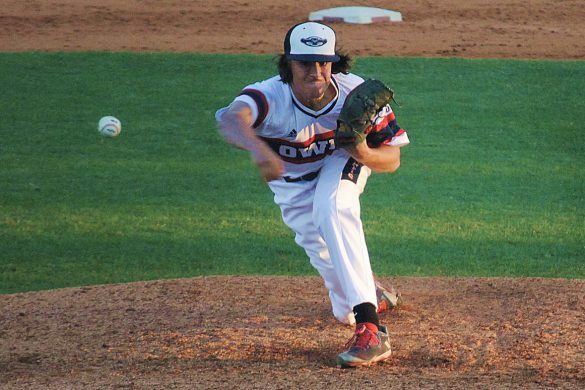 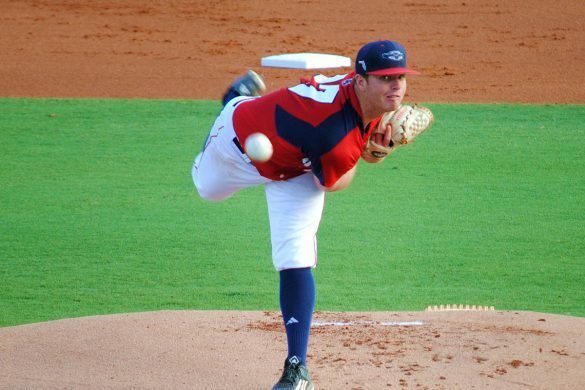 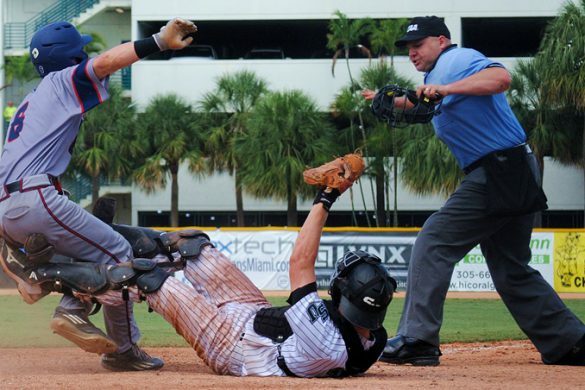 The Owls have lost four consecutive games for the first time in May’s initial year as FAU coach. 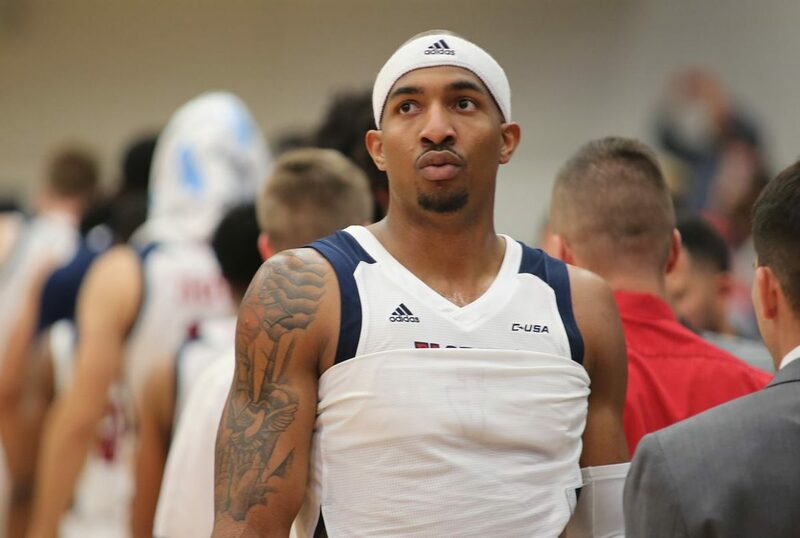 Moving Forward: Guard Anthony Adger led all scorers with 21 points. 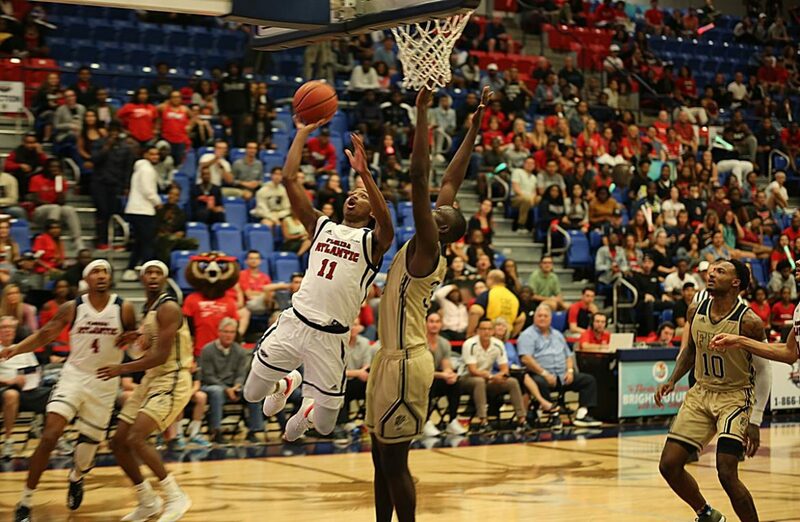 …Eight of Stapleton’s 13 points came in the game’s final 4:03, when he appeared unguardable. 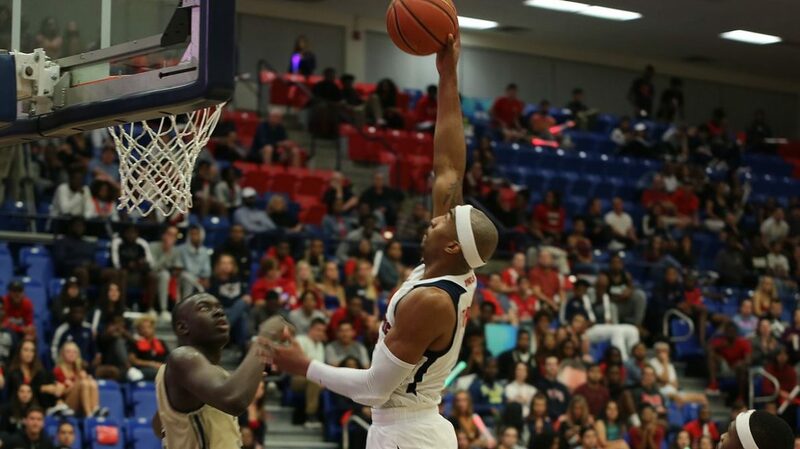 …Guard Richardson Maitre scored a career-high 15 points and led the Owls with five assists. 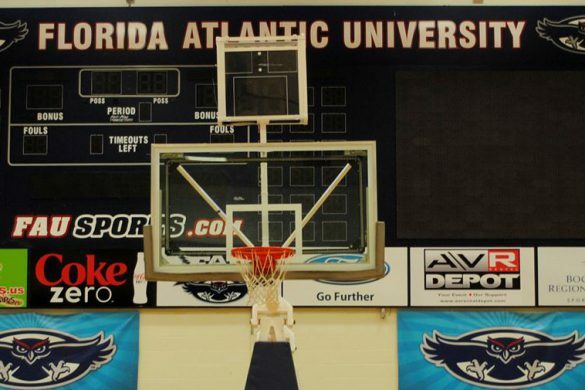 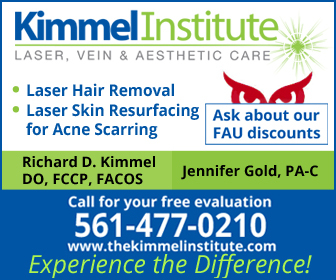 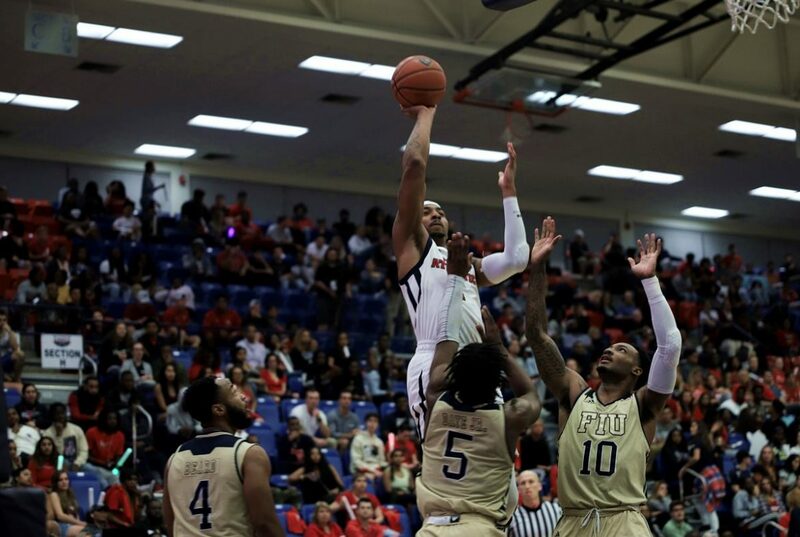 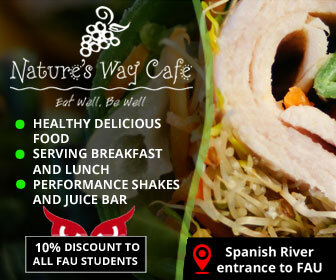 …FAU pounded FIU on the boards, out-rebounding the Panthers 49-32. 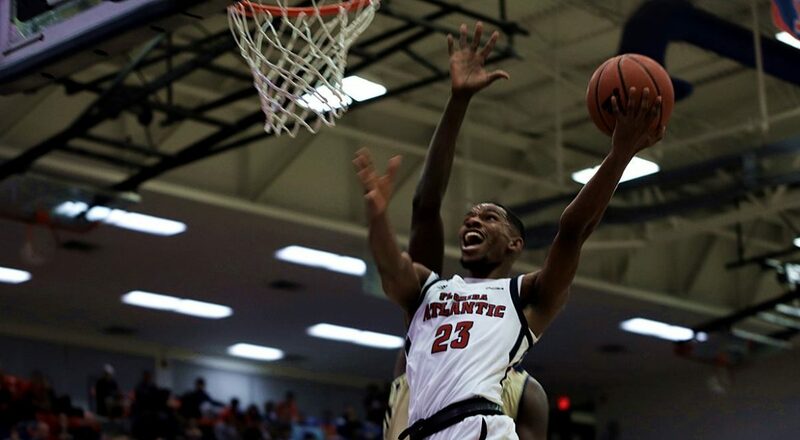 Stapleton led the way with nine rebounds. 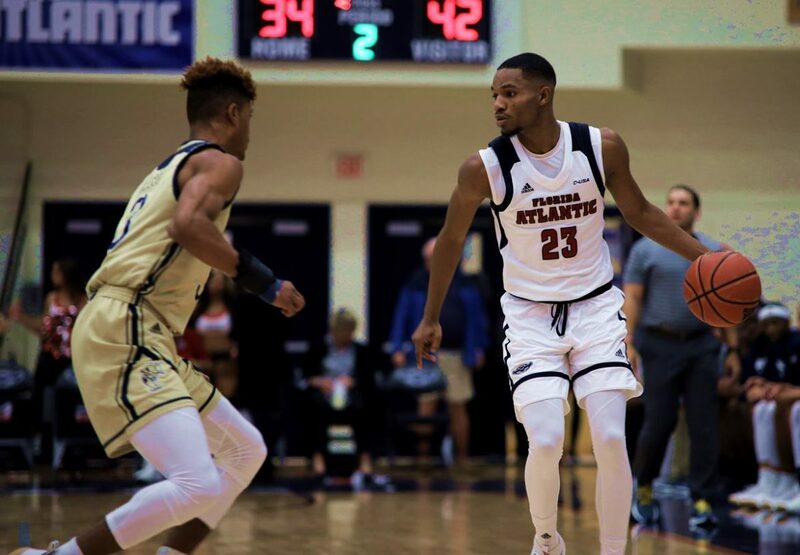 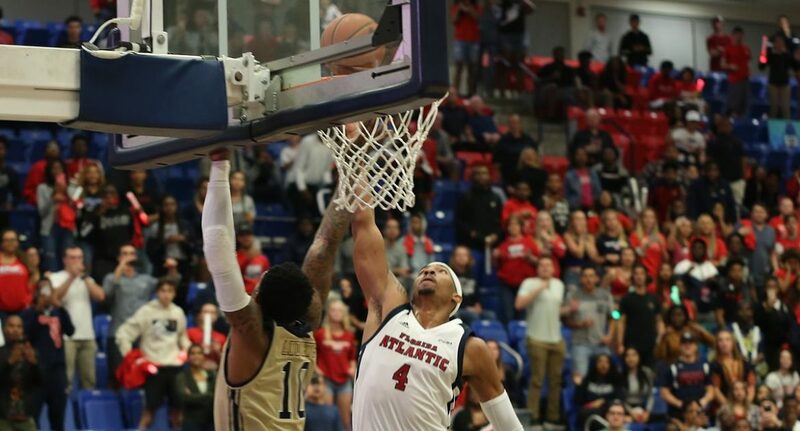 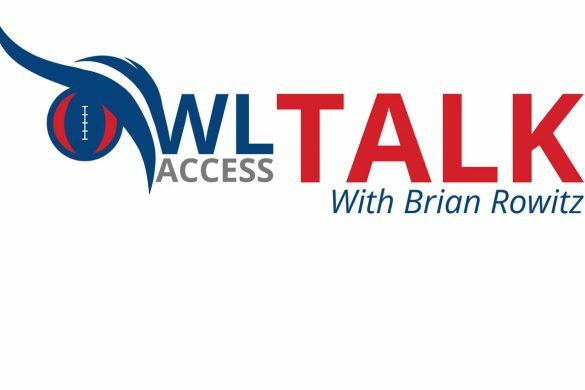 Falling Backward: FAU enjoyed an early 10-point lead, but when FIU increased the defensive tempo with a full-court press the Owls struggled to find the answer, allowing the Panthers back in the game. 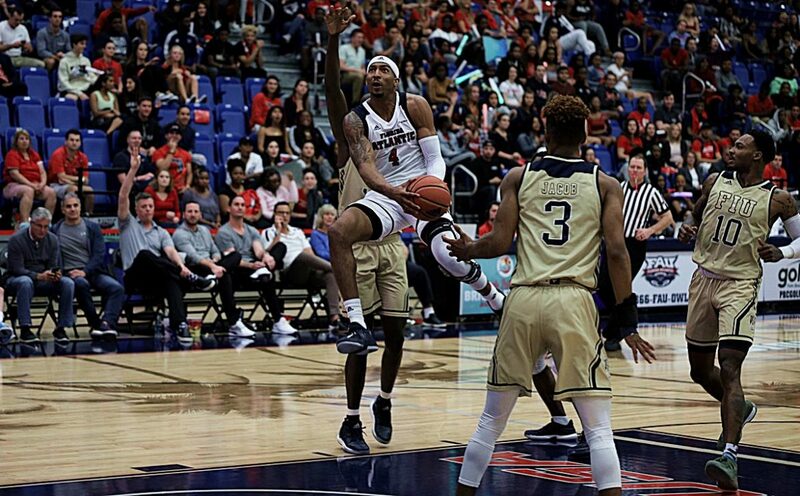 FIU raced all the way back to take a 40-34 lead at the half. 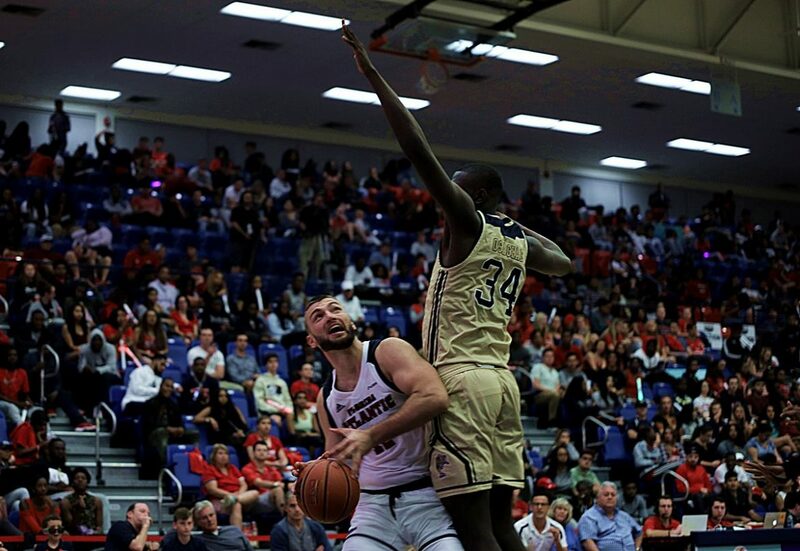 …Forward Madiaw Niang returned after missing two games with an ankle injury but didn’t score or grab a rebound in 5 minutes of play. 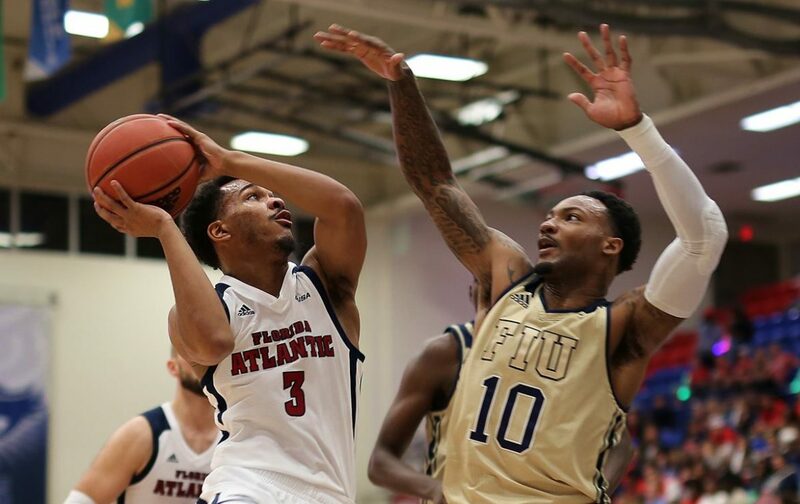 …Freshman point guard Michael Forrest led the Owls with three turnovers and struggled to get FAU into its offense after beating the press. 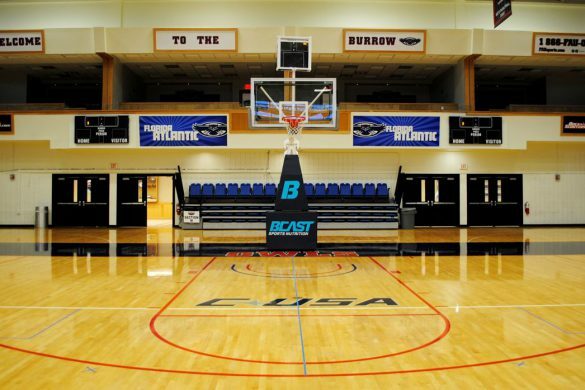 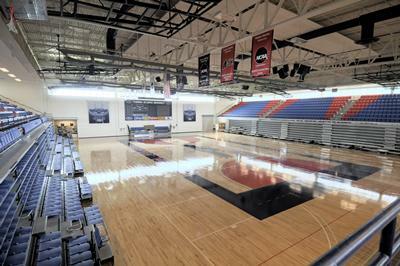 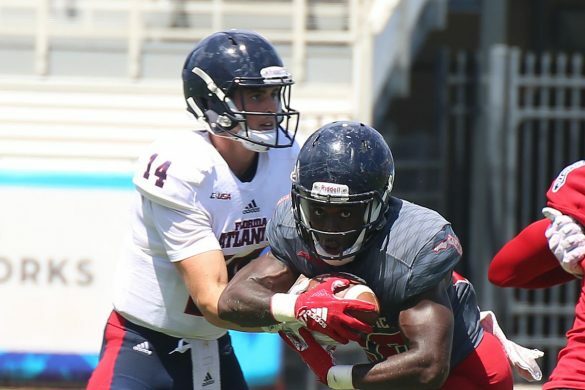 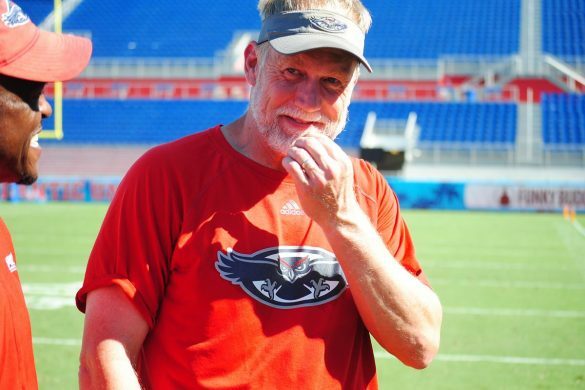 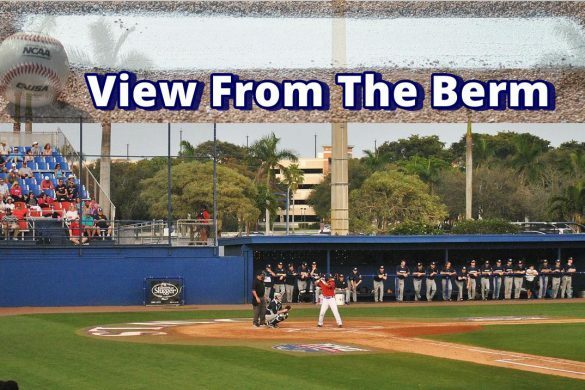 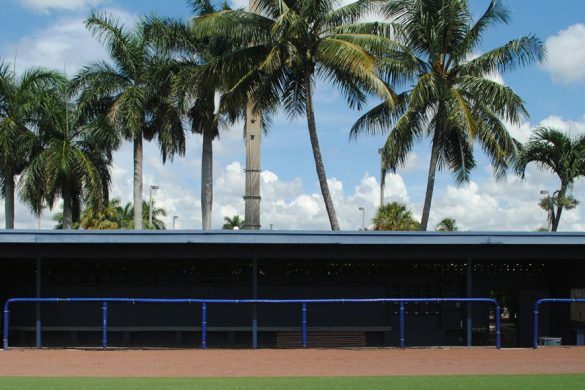 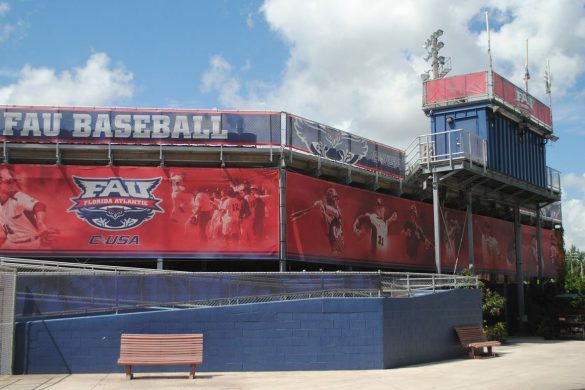 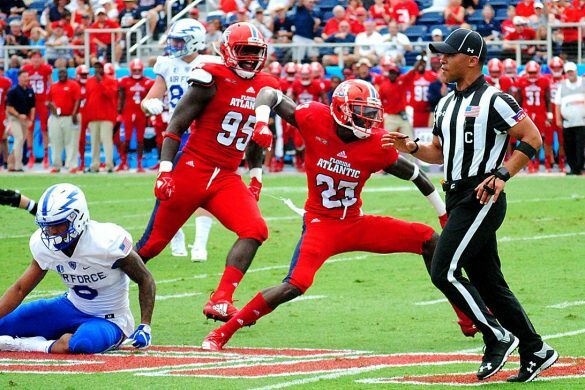 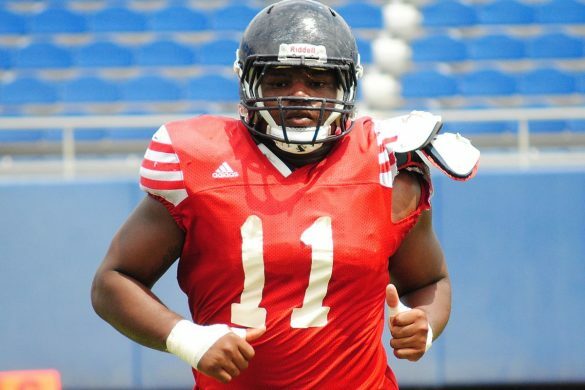 Key Stat: 2,087 – Announced attendance at The Burrow, FAU’s largest home attendance in more than five years. 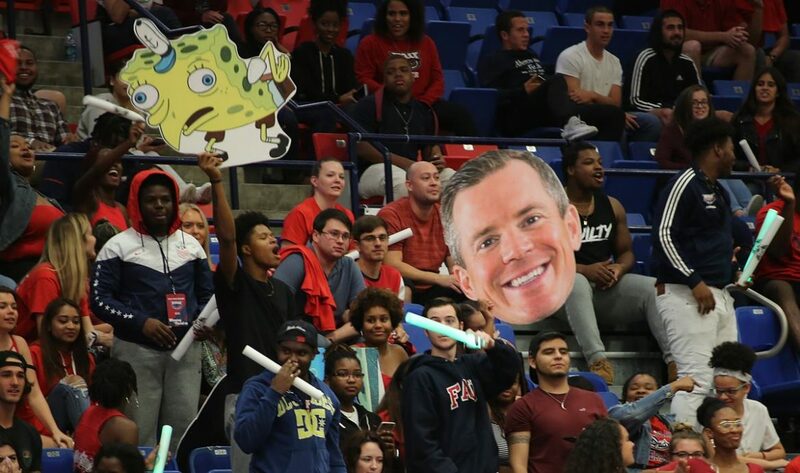 The student section was nearly full, giving FAU the best home-court advantage the Owls have enjoyed in several years. 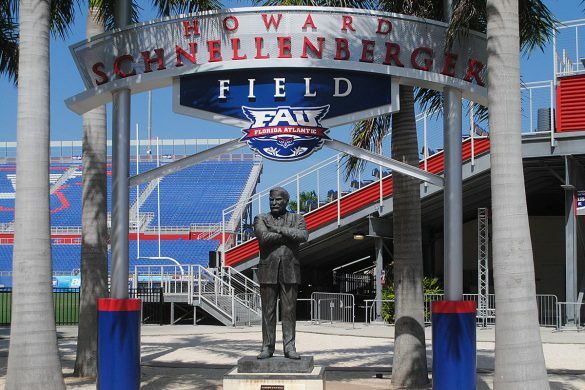 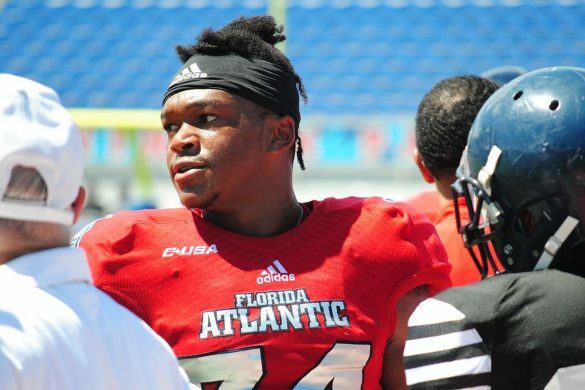 Up Next: FAU gets a couple days off before heading down the Florida Turnpike for a rematch at FIU. 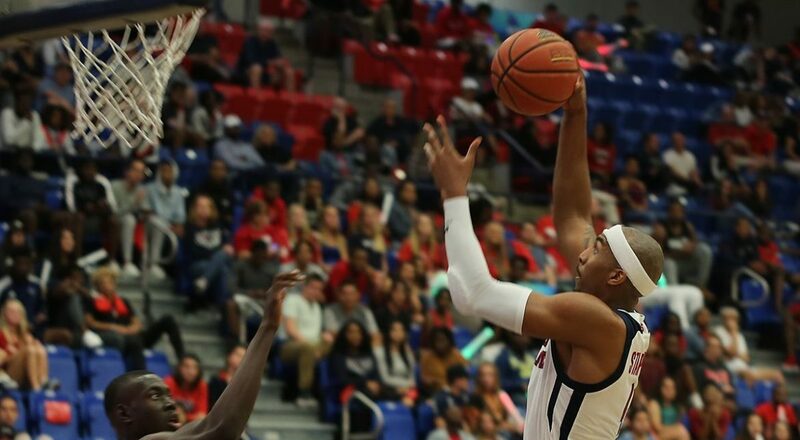 Tipoff for Saturday’s game is scheduled for 7 p.m.